It is important to keep the appropriate shells with your hermit crabs to allow them the opportunity to try a new home. This important advice will show you how to select the correct shells for your hermit crabs based on their size, environment, and species. Every shell is different, so before reaching into the $2.99 shell box at the pet store, get the information you need to measure and select the best shells to avoid wasting money on inappropriate shells. 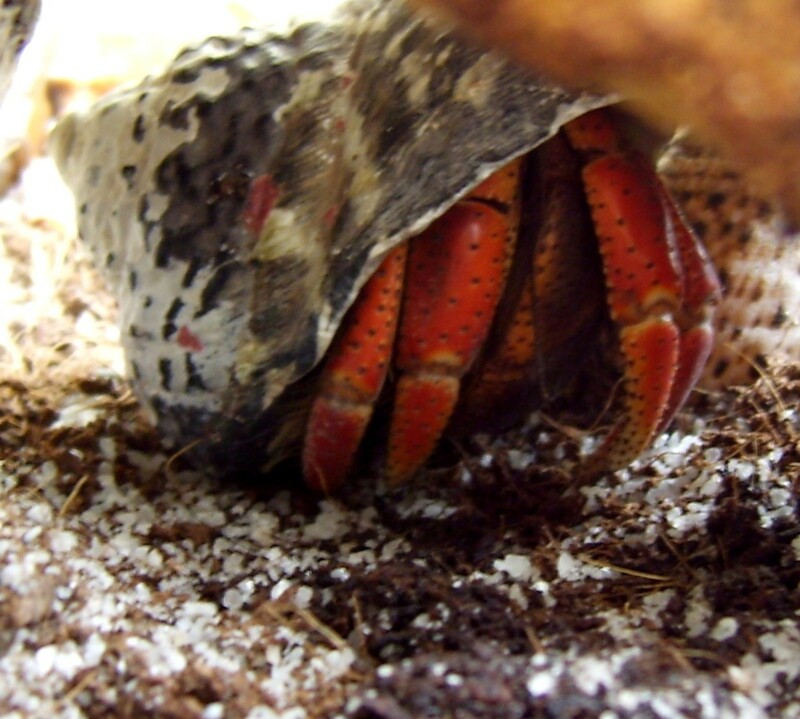 Shell size is one of the most important considerations for choosing hermit crab shells. While most seashells sold for decoration are described by their total width (i.e. 3 inches from end to end), the only measurement that matters for your crabs is the diameter of the opening. Shell size is measured across the longest diameter of the opening. Shell calipers are sold to accurately measure shell openings, but you can get a fairly accurate measurement by eyeballing the opening and a ruler. 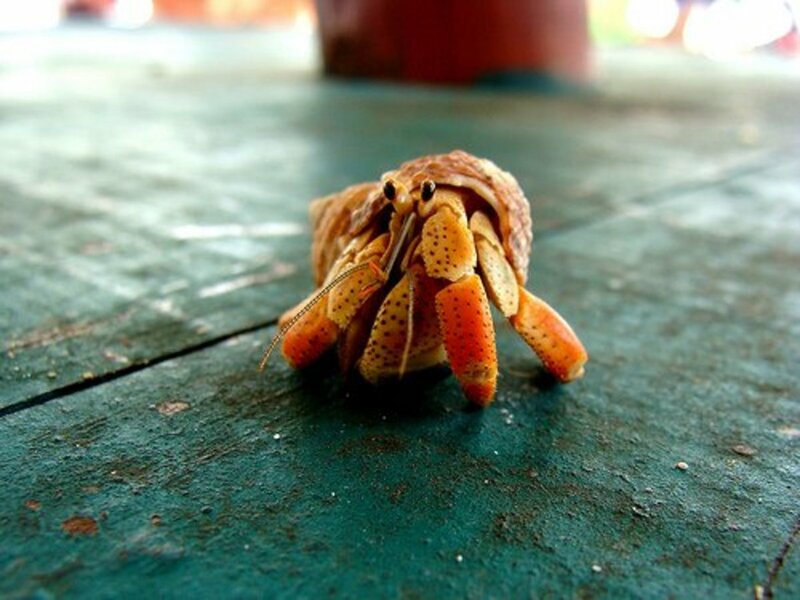 Small hermit crabs usually inhabit shells 3/8" to 1/2", medium crabs from 1/2" to 1", large crabs from 1" to 1 3/8", and jumbo crabs live in shells with up to 3" openings or larger. Once you have determined the size of your crab, select a few shells that are 1/8 to 1/4 inch wider than the hermit crab's current shell. Also try to find the same shape opening, especially if the crab has consistently chosen shells with round or D-shaped openings. Ordering online can be tricky, but until you place and receive an order for a specific size and actually see the shells next to your hermit crab, it can be difficult to know what size she needs. If you are unsure, get 2 shells that are the size you think you want, one that is 1/8" smaller, and one or two that are 1/8" larger. Once you've ordered, simply remember her size and select shells that are a size larger. You can also buy convenient variety packs with shells of appropriate sizes for small and medium hermit crabs. However, when you are ready to buy a new shell you still haven't learned the correct size of your crab since the individual shells in a pack are not labeled with measurements. Most common hermit crabs, especially Purple Pincher (C. clypeatus) prefer shells with round openings. Other species of hermit crabs, such as Ecuadorians (C. compressus), have been known to prefer shells with D-shaped openings because their bodies are more flattened and they are better able to protect themselves in shells with D-shaped openings. In addition to considering the size and opening of the shell you should only buy natural, polished, or etched shells. 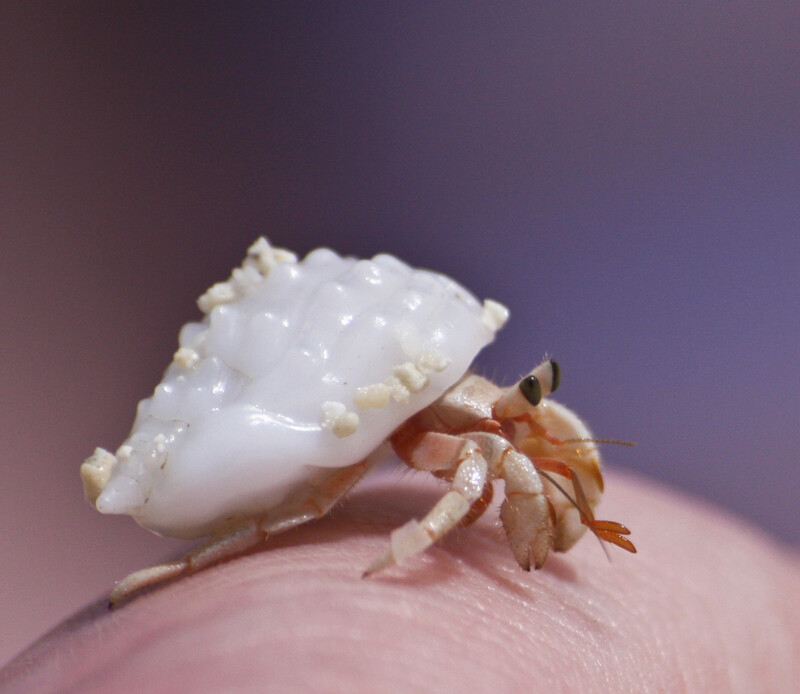 Painted shells are hazardous to the health of your hermit crabs. If your child wants a decorated shell, there are many beautiful natural shells safely etched with dolphins, palm trees, and other designs. Turbo shells are probably the best choice for hermit crabs of any size. With a broad, round opening and a heavy, thick construction these shells are roomy and offer good protection to their inhabitants. There are many types of turbo shells available in all-natural, polished, and etched designs (exposing the white pearlescent layer beneath the dark exterior of the shell). 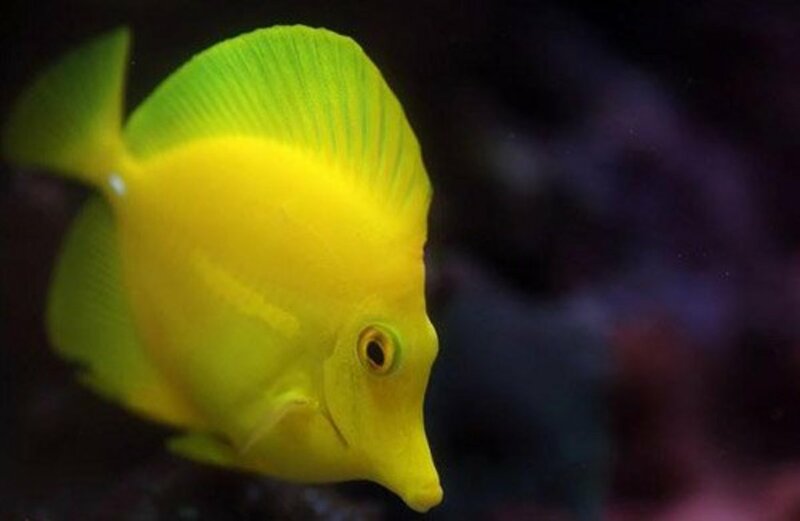 Magpie, Green Turbo, Turbo Cinerius, Turbo Stripe, and Turbo Petholatus shells are readily available online and are quite affordable. For more expensive taste or for jumbo crabs, try the Jade Turbo or the very beautiful Turbo Sarmaticus shells. Murex shells are more structurally lavish than turbo shells with spines and lumps. These may be more attractive for their shape, but know that a hermit crab is not likely to choose a shell with large branches or spikes because it will just make it more difficult to navigate the crabitat. Pink Murex shells are very commonly found in craft stores at all sizes and are very inexpensive. Apple Murex shells are available as well in a nice mix of browns. 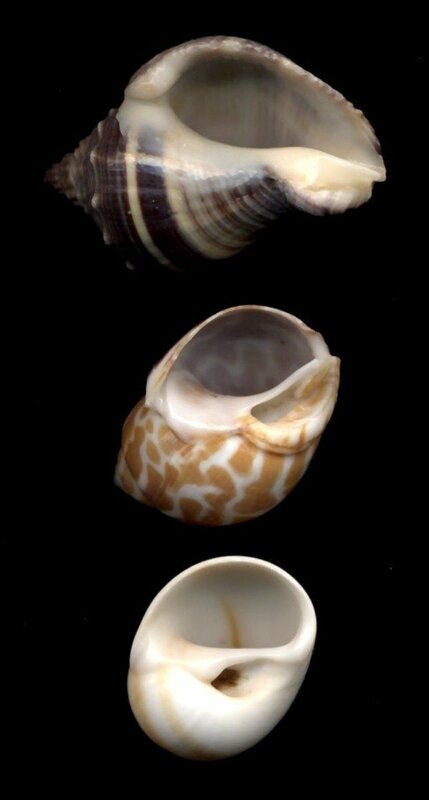 Babylonia shells are a nice mix of brown and white and are readily available for both small and large crabs. These shells are common in pet stores, craft stores, and online shell stores. 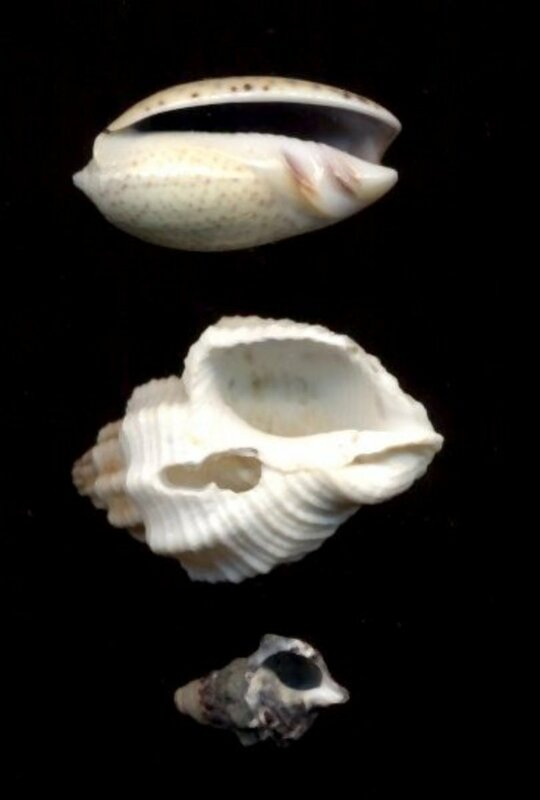 Other shells with D-shaped openings include Nerita Polita shells (for the smallest of crabs), Whale Eye shells, Shark Eye shells, Crown Conch, and Nutmeg shells. The shells made by land snails are usually much thinner and more lightweight than those made by sea snails (turbo, babylonia, etc). Generally, sea snail shells are preferred over land snail shells so these are not recommended. Hermit crabs use their shells to store water, control their temperature, and of course for protection. They will be the judge of what fits best, just be sure to clean the shells well. Shells must be prepared before you place them in the crabitat to ensure that they are safe for your crabs. Shells sold at craft stores are usually bleached beforehand, leaving chemicals which could harm the crab. Discard shells with unnatural cracks, holes, or jagged edges that may harm the crabs. Dechlorinate enough warm water to cover the shells three times over. Add 1/3 of the water to a bowl and stir in baking soda (about 1 tsp per cup of water). Soak the shells in the baking soda solution for 10 minutes, be sure that the air bubbles out of each shell. Shake each hermit crab shell over the sink to drain the water. Add 1/3 of the dechlorinated water to a clean bowl and stir in aquarium salt mix, according to the directions on the package. Soak the shells for 5 minutes. Repeat steps 6-8 with fresh dechlorinated water. Now the shells are ready for your hermit crabs! Place the shells with the opening facing up to entice the crabs to inspect them, but be patient - only the crab will know when it needs to switch shells and which candidate will be most comfortable. Inevitably, unused shells will fill up with sand over time, so be sure to clean them occasionally with dechlorinated fresh water. How many consecutive shell changes have you seen a single crab make? When a hermit crab is ready to change shells, it may need to try several shells before settling on a new home. Purple Pincher crabs (C. Clypeatus) are particularly likely to switch shells several times in the span of an hour or two, while other crabs may spend more time looking for the perfect shell. After inspecting the inside of the shell with their legs and antennae, the crab will carefully position the shell. Rising up out of its current shell, the crab will swing its soft white abdomen over and into the new shell, curling down into the new home. After up to an hour of rolling around and inspecting the new shell, the shell switch happens in less than a second! If you have several crabs that are the same size, they may have loud vocal and physical contests over shells. While this is rarely meant to harm each other, the battles can become dangerous and you may need to separate the crabs. However, if you have provided enough sand, the crabs should be able to bury to get out of the situation. Crab A switches to a new shell. Crab B switches into Crab A's old shell. Crab A doesn't like the new shell and wants the old shell back. Crab B loves the shell and won't give it back. If you notice the crabs making noises back and forth or trying to steal shells, buy a few more shells for them to choose from. I had a crab who held a grudge over this scenario for more than a month. "Crab B" didn't stay above ground for more than an hour at a time until "Crab A" switched into a new shell that I had bought and was no longer harassing the other crab for stealing her shell. 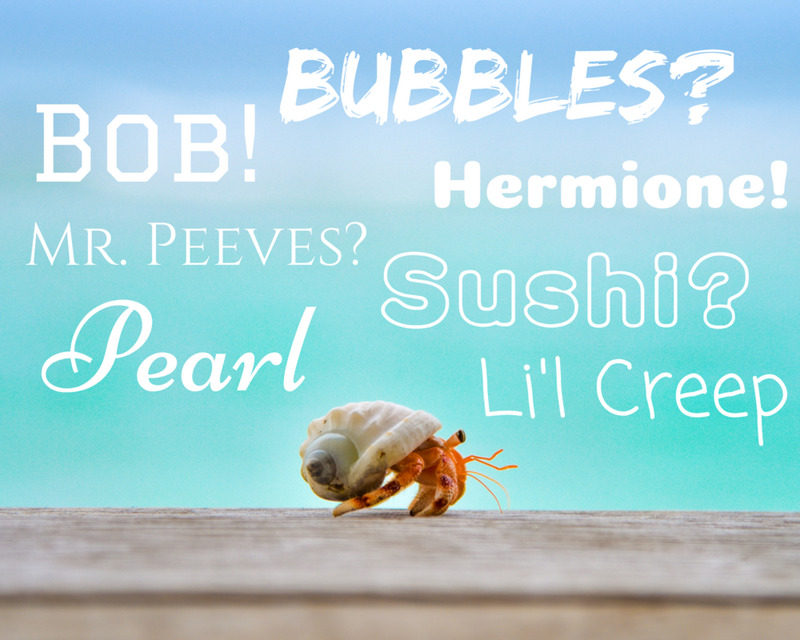 Be careful not to make the following mistakes with your hermit crabs. Do not remove the old shell, they may need to switch back into it. Provide at least 2 shells that are the proper size for your crab. If you notice crabs fighting over shells, give them more shells to choose from. Never try to force a crab to switch shells. Where do you usually get hermit crab shells? If you do not live near the ocean, you probably do not have any seashell shops nearby. Depending on the size for your crabs, you may be able to get shells at the pet store or even at a craft store, but otherwise it is best to shop for top-quality shells available online at standardized sizes. Be careful... most seashell shops will sell shells based on the outside measurements of the shell, only shells sold specifically for hermit crabs will include the opening diameter measurement. It is very difficult to order shells based on exterior measurements. Remember, never buy painted shells because they are unsafe for your hermit crabs. Polished and etched natural shells are a beautiful alternative if you don't like the rugged all-natural look. The Hermit Crab Patch is an educational web site which only sells products that are healthy for your crabs. You will find a good selection of shells at the best prices I've found online, organized by opening shape, size, and natural/polished finish. This shop has a very impressive variety of shells, well-organized by size. The prices are somewhat higher than other shops, so buy common shells elsewhere. 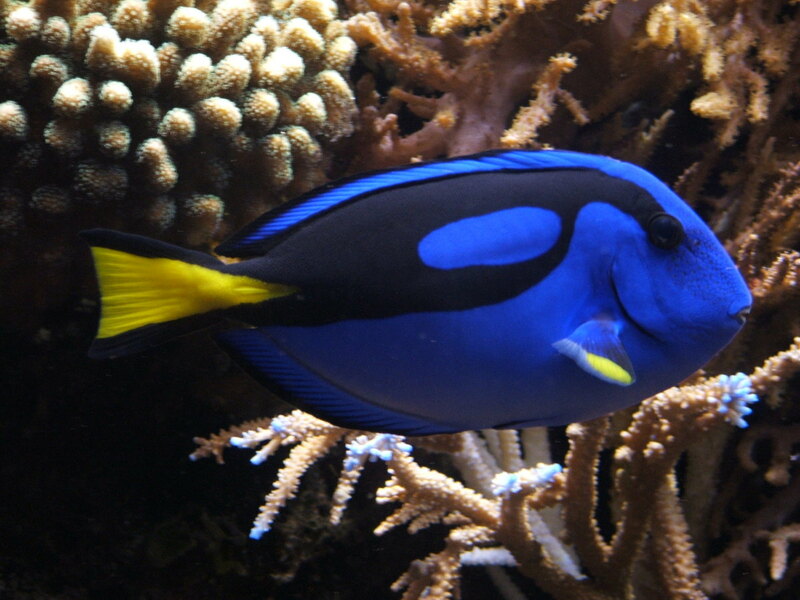 Avoid the painted shells and shells with narrow slit-like openings. Hermit crab and shell photos used on this page were taken by the author, fritteritter. Other photos taken by photographers at sxc.hu, used with permission. 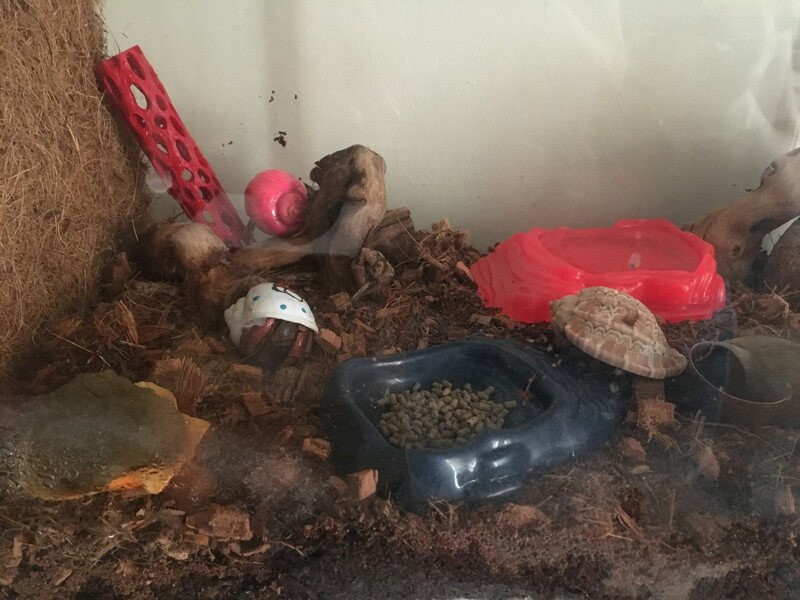 How can I determine which type of hermit crabs I have? Can I make salt water using sea salt? Last question is...how deep should I make the sand in the bottom of their habitat? Please do Not buy shells that have been painted. 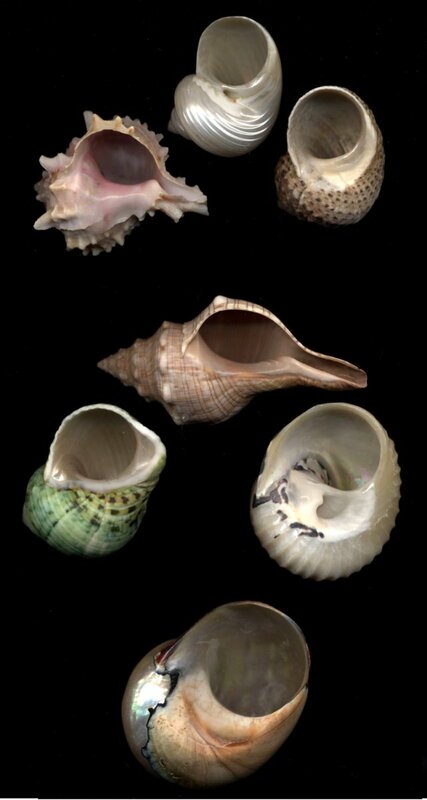 These shells will poison, and kill your hermit crabs. The paint is very bad for them! There is always some chance that the painted shell could have negatively affected the crabs while they were at the pet store, but they are probably fine. The painted shells should not be a long-term home for your crabs, just be sure to provide a selection of natural unpainted shells that are the right size as well as a bit larger. They will switch shells when the time is right; don't try to force them to switch. You will need to remove the painted shells once they are vacant, but you should wait a few days after a shell is empty before removing it to make sure that the crab is satisfied with their new natural home. Much more frequently when they are small than larger crabs. Each "shell shopping" expedition might involve a few shell changes until they find one that they like. Small crabs may go through 3 or 4 shells in a year, provided that their habitat allows them to dig underground to molt and grow larger. If they are changing more frequently it may be time to buy more shells to find one that the crab is happy with. Large crabs may keep the same shell for years, but they should always have a few appropriately-sized shells to choose from. Also, some species such as Ecuadorians hold onto the same shell for longer than the more common (in the US at least) Purple Pincher crabs. how many times a year do hermit crabs change there shell?? They will stay underground until they're done molting. Occasionally they may dig underground for some reason other than to molt, but in any case, once they are underground you should not and do not need to disturb them. If you notice that the crab buried underground, the best food to provide is dry food that will not go bad, especially something with calcium and nutrients like cuttle bone or oyster shells. There is no need to provide fresh food every day when the crab is underground, but you should keep dry food so that it can eat if it resurfaces. It may be underground a few days or a few weeks. After molting the crab will crave the calcium and other minerals found in foods like cuttle bone in order to replenish its supply of nutrients that may have been exhausted while molting. The water should be changed weekly or more often to prevent stagnation or algae. Just ensure that the sand stays "sand castle consistency" rather than becoming too dry so that it is moist enough for the crab to dig back out. Just pour a bit of dechlorinated water on the sand when you refill the water dish if the sand is getting dry. I have a question: Once the crab is under substrate to molt, does he just stay there for a month or two or does he come up now and again. If that is so, do I need to add water to drink and food to eat every day? This is all new to me and I have no idea about all of this stuff. Thanks for your help and do I ever need it! The answer depends on how much space they have and whether all the standard needs are met. If conditions are not good or there is not enough space they may be more prone to aggression or general clumsiness, but otherwise size does not cause a huge problem. Space is especially an issue when the crabs dig tunnels to molt. If the tank is too small, the large crab is more likely to disturb a smaller crab in the process of molting. I keep a gradient of sizes from small to large so that even though there are much larger crabs in a 90 gallon tank, there are also a few of a similar size. There are a few environment requirement differences also. Since both large and small crabs need to be able to submerge themselves in water, the water will need to be deeper than you may generally want for a small crab. That is not a problem, except that whatever you use to hold their water must be very easy for a small crab to climb out of if they get submerged. I have two deep 3 gallon pools at either end of the tank and the crabs often submerge completely and climb out a few minutes later. Can small hermit crabs live with bigger ones? Sorry for being off topic. There are many different species which each grow to different sizes under different conditions. 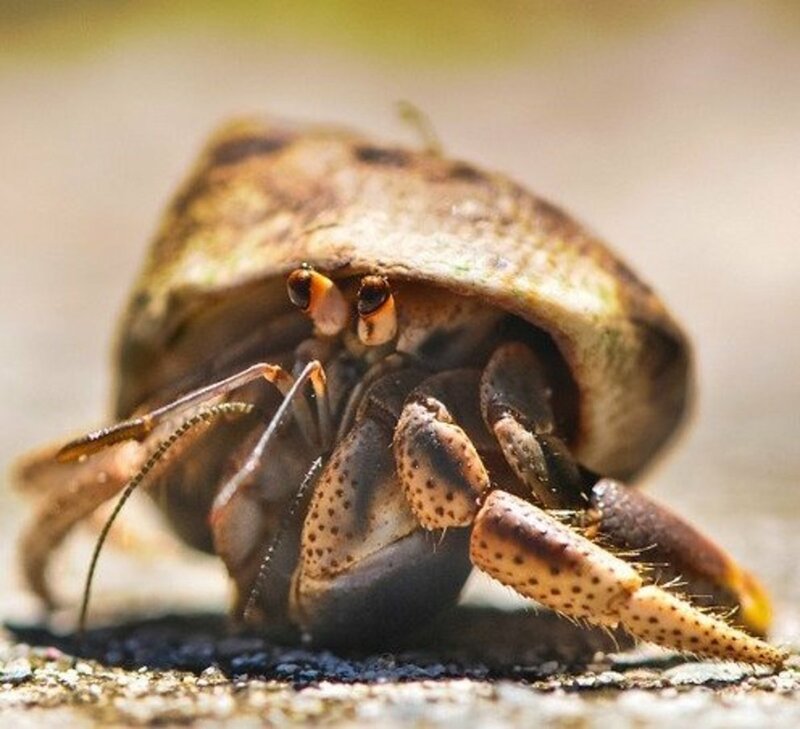 The most common crabs in the US, "Purple Pincher" hermit crabs, can grow to be quite large provided that they are able to tunnel underground to molt and can find big enough shells. Purple Pincher crabs can live for decades and reach the size of a softball (huge compared to the young crabs you typically see in stores). how large can hermit crabs grow to be? My Ecuadorians also preferred shells that were far too small, and also changed shells very infrequently. They were particularly fond of shells where the spiral inside had been worn or broken away, leaving them more room to squeeze in. I would try something with a slightly more D-shaped hole. They probably won't be fond of the heavy O shaped Turbo and other sea snail shells. Nice article. I learned a lot from your information. I also have many lovely hermit crabs, I will check your blog later. Also, welcome to my blog. I post many lovely pictures of my hermit crabs there. Tanya, it's difficult to say what would happen with 3 hermit crabs in that tiny of a tank. Since it would be impossible to provide everything that they need - including fresh and sea water treated to remove chloramines, deep enough substrate for the crabs to bury, controlled humidity, controlled heat, extra properly-sized non-painted shells, climbing and places, a few other crabs, and balanced nutrition - the crabs would be under incredible stress. Generally 10 gallons or 8 for small crabs is the minimum size tank that can accommodate two or three hermit crabs. Hermit crabs eat their own exoskeletons after moulting to replenish lost nutrients, so if a crab happened to shed its exoskeleton above ground (which will not happen if the crabs have a proper habitat), others would certainly enjoy the free meal. While it would appear that they are eating the crab, it is only the shed exoskeleton. They would not actually eat a crab unless it is a matter of survival. The author discusses some of the minimum requirements of keeping hermit crabs healthy and happy. Do hermit crabs go cannibalistic if their living quarters are to small? Ex. 3 small crabs in one gallon tank. Anon, that's an interesting question. The shells are created by snails and the coil direction of the snail's shell is predetermined in their genetic code. Through mutations or hereditary genetics, snails sometimes produce shells with reverse coils. As far as I know, hermit crabs will always choose a shell which coils to the left. Depending on the type of snail, reversals may be so uncommon that reversed creatures cannot find compatible mates, making reversed shells for some species quite rare. Some snails have diverged into entirely separate species due to reversed coils. It's quite an interesting topic, thanks for asking! Generally a heat source above the crabitat is the most appropriate. If an under tank heater is able to warm the air in the crabitat, either the substrate is too shallow for the crabs to bury, or it is so hot that they may be in danger when buried. That doesn't mean that it cannot be used as a heat source if set up properly and monitored, but I would not recommend it. I have used an "under tank heater" on the back wall of my smaller isolation tank which allows it to heat both the sand and the air. If the sand becomes too warm on that side, the crabs can tunnel away from the warmth. My primary tank is heated by a fluorescent day light and red night light, but most of the heat is provided by aquarium heaters in two 5 gallon pools at either end. The humid heat from the pools keeps the air at the correct temperature and humidity, and the warmth from the water also radiates noticeably about 6 to 8 inches into the sand. A litle off topic, but do land hermit crabs need under tank heater to supply heat or an above tank heater (like a heat bulb)? Thanks for reading, there are several mentions of not using painted shells but I will add more higher up in the article. Very nice article. I would love to see some mention of avoiding painted shells though!